today I had digested Christmas lunch and after-lunch and I tried to get back to work, deciding to send a job application, but something went wrong: there were two different deadlines on the site, and I followed the second one. It proved wrong. So, I was kind of disappointed. Yes, I emailed the person in charge. I still haven’t an answer. I could also have followed the first deadline for security reasons. Somehow, my brain refused to concentrate enough to finish on time. This is the result of having eaten and drunk a lot I guess. In any case, how do I follow a love oneself ritual in the circumstances? I can congratulate myself on my diligence. I did my best in the circumstances. How about changing my everyday ritual? When I get in my hometown, I follow my parent’s rhythm, and although this can be relaxing at the beginning, it doesn’t feel very good after a while. Why not write a letter to Santa Claus instead of a job application? I am putting myself to it. I am a firm Santa Believer and there is no hint from any authority which could change that. I have started my letter to Santa Claus, and it seemed that I have only one wish, but this is not true. I just didn’t want to shock you with its length. For example, if I want a Prince just for me, should I think about characteristics? Blond, red or dark-haired? With a lot of hair in his body or not? Ok I have given up comparisons with tablets. Taller than I, my size, shorter, big or small ears? Talented in something I appreciate? For example would I like him to be a great writer or would that make me feel anxious about my own talent? Doing something completely different, such as watching football? Eating the same kind of food? Is Santa supposed to bother with all these details? After all, Princes are recognized by their generosity, good heart, a form of intelligence (any form?). Aren’t they? Anyway, I don’t know what are the ingredients, but it seems that we should feel great together. Not for just an hour or two. Every time we meet? Most of the time? Appreciating each-other the way we grow. Separately and together. Before I sent my letter to Santa I would like you to give me a feedback, December. Just to make sure I put down everything I desire and everything that will answer someone else’s desire. The link where I found this letter format! 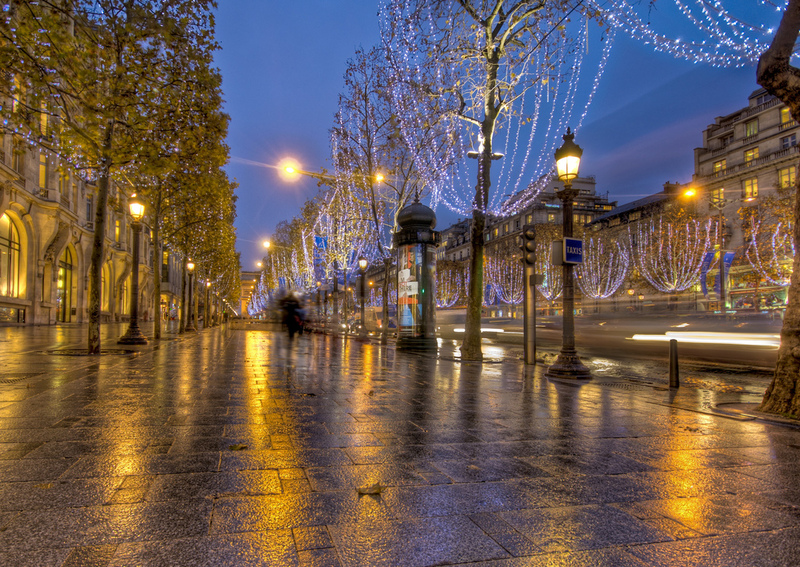 you brought us some cold, it feels like Christmas is really close, and Parisian streets decorated become magical! Just to present myself, I am April, writer and artistic event organizer, with an ex-wannabe boss, and a lot of ideas. Please don’t take it personally, but I might address myself also to Santa Claus from time to time and fill him in considering my wishes. There are a lot of needs in this world, but Santa has a way with things and I am sure he manages to reply to all the lists. Now, the first thing on my list would be a Christmas kiss by a loved one. And then we’ll see. There is time!